The sharing economy has no signs of slowing down. According to Statistica, there was 44.8 million adults using sharing economy services such as Airbnb or Uber in the United States in 2016 and the number of users to increase to 86.5 million by 2021. This time for our Transformative Storytelling Series, it was a special treat to have Leah Busque, the founder of TaskRabbit as our guest who discussed the future of the sharing economy, how she dealt with each shift in her career/company, and the types of companies she’d like to invest in moving forward. From software engineer to founder to investor Leah’s story is a unique one. She worked at IBM hacking away at code for over 8 years before she decided to jump into what would eventually become TaskRabbit. 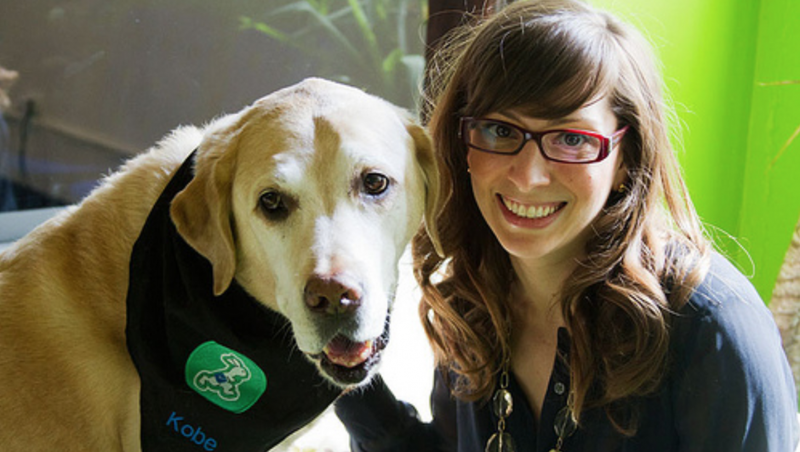 TaskRabbit went on to raise 50 million dollars and expand to over 60,000+ Taskers around the world. She transitioned from CEO and Founder to Chairwoman of the Board and is now an Investor in early stage technologies at Fuel Capital. She came up with the idea one evening when her and her husband were headed to dinner and realized they were out of dog food. They geeked out over an idea, “Wouldn’t it be nice if there was a place online you could go, say you needed dog-food, name the price you were willing to pay, and have it delivered to you?” And TaskRabbit was born. This was in late 2007 right around the time the first iPhone came out, before the app store, location based sharing, or mobile technology was even a thing. Four months later Leah had built the first version of the app and launched in the Boston area. From stay-at-home moms in Boston who were able to create extra income to a handyman named Mark who went from being an employee to building out his entire business on TaskRabbit all the way to President Obama posting a task on the platform. Almost a decade later TaskRabbit has changed the lives of thousands of Taskers who have been able to operate their own business thanks to the platform. Early in her career Leah was once told by a college that she was “too ambitious.” She used that ambition to drive everything in her career that ultimately lead to what would become the sharing economy marketplace. Fun fact. TaskRabbit was actually acquired by Ikea. Where do you see the future of the on-demand economy going? What shift do you see coming? I think there are so many interesting things happening in on-demand right now. If I were to start TaskRabbit today it would be a very different company from when I started 10 years ago. I built an E-bay like auction model marketplace. Then 5 years in I realized oh no this needs to be a mobile centric, mobile first on-demand booking system and if I were to build it today it would be on an AI voice platform (through Alexa or Google Home). That’s where you would start today. The concept and the mission of connecting people in a neighborhood to live more efficiently to share services has always remained the same. But how you deliver that changes based on the market, emerging tech and the consumer mindset and their expectations. Trying to stay ahead of that and recognize where those opportunities are is very exciting! What kind of companies are you excited and interested in investing in as you take on this new role? With my operational experience and background at TaskRabbit I’m definitely drawn to consumer marketplaces, no surprise. I’ll be looking at a lot of consumer marketplaces but because of my deep technical background as well as because I love infrastructure stuff. And I love thinking about what are the new emerging technologies, and what’s happening right now in AI, VR, and Blockchain. As an early stage fund we’re looking at companies who are trying to raise a seed round of funding (under 2M) as well as participating in rounds with a syndicate. When I think about my early stage investors… to this day they are still the three people I call for advice. I want to be that person for entrepreneurs who are just getting started and help them build amazing companies that are going to change the world. What advice do you have for people who are transitioning perhaps into a completely new career or industry? Try to surround yourself with people you can lean on and people you can look to for advice. Create your own personal board of directors. This are individuals I can call, text, have coffee with, to use a sounding board that know me and can give advice. Join organizations like YPO and Lean In Circles. I like to set big hairy audacious goals “BEHAGS.” Really crazy ambitious goals and things but figuring out what are the baby steps that are going to get you there over time is also important. For example, we will be successful when and (inserting your audacious goal here). For us it was, we will be successful when President Obama posts a task on TaskRabbit. We laughed, but then we sat down and said ok what would be the steps we need to take to get there? What are the things we need to be doing everyday? Having a diverse set of people you can call and text for different things is important. The key is being able to take feedback on any one issue across 10 different people. You’ll get 10 very different pieces of advice and none of that advice is right or wrong, but it’s really up to you as a person to take in all that advice and figure out what’s right for you. That’s something I’ve done over and over again. How have you dealt with competitors? Over the course of the last 10 years there have been so many competitors who have come and gone. I think what I’ve just learned is that we’ve always stayed really focused and true to what we’re doing, what we’re building, and we haven’t worried so much about the competition. I realized over time that if we were to stay and build a company that lasts for a decade and beyond that we needed to have our own vision, mission, and our own marching orders and just stay true to that. And that has worked for us. How do you handle the “chicken and egg” situation when creating a new marketplace economy? Which comes first the Taskers or the people who need tasks completed? In any marketplace you’re always going to have this issue. But what you have to think about is (and its different for every marketplace) what does the supply base need to be? What does that need to look like so that you can start layering on the demand? In our case, we always went into new markets and recruited like 50 Taskers to start a city. And once we felt they were ready to go then that’s when we would start layering on the demand by inviting clients to start booking these Taskers. From there you have to build up both sides though every marketplace is going to be different with different levers to pull. How can aspiring entrepreneurs or even those who are trying to create their career path seek out mentors and forge a deep relationship while still adding value for them? It has to happen organically. It’s something that really hard to force, there isn’t a template to follow. The way I did it was in the early days of TaskRabbit I would talk to ANYONE that would listen to me, like anyone. It didn’t matter if it was the guy sitting next to me on the bus or a mom in a coffee shop or a friend over dinner (who actually introduced me to the CEO of Zipcar). Just make a broad pass across your network because you never know where connections are going to lead. There are intangibles you have to think about in any job: Does it make you happy? Is it the lifestyle you want? What’s important to you as far as priorities? Is it money? Is it flexibility? Is it having autonomy? What are the things that are important to you? Measuring success over winning is really important. People define winning as a metric, salary, my revenue I’m hitting, but I like to define winning as being successful and success can include winning. But it also includes things like: Did I operate with purpose? What sort of impact did I have? What are all the other things that are important to me? What are my core values and do I get to use them on a daily basis? To me that’s just as important. The number one thing I would have done differently is I would have become an entrepreneur sooner.